Is used to refer to the specifications of the wheel and the availability of the sizes that will fit a vehicle. The fitment specifications for a particular wheel and vehicle include the bolt pattern, the offset, the wheel width and the wheel diameter. If you have any questions on fitment, please call us. This is the most typical finish. Painted wheels come in many different colors. Silver, Grey or Black are the most common. 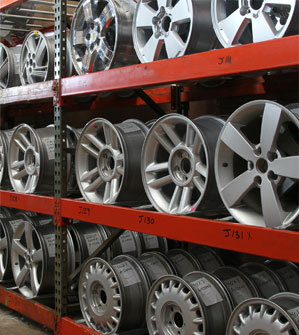 A typical painted wheel is either spray painted or powder coated with a clear coat finish. You can distinguish a machined wheel by the tiny grooves or lines on the metal surface. This is created in the manufacturing process of the wheel. Machined wheels are only machined on the outer surface. The other sections of wheel, for example the pockets, are usually painted. Normally, polished wheels have a chrome like shine. They usually have a clear coat finish and are lighter in color than chrome. Chrome wheels have a mirror finish. Chrome plating is a very expensive process and normally cannot be repaired or reconditioned. These wheels require additional maintenance and cleaning in order to avoid damage to finish. These wheels are manufactured with a plastic chrome surface plate over an aluminum wheel. If you tap on the surface with your fingers it will have a hollow or plastic sound. This finish is obtained by using various layers of paint. This gives the wheel a deep shadowed finish. Hyper wheels come in various shades. Typically it is a light grey or light black finish. Re-manufactured or Re-finished wheel is just what it says. The wheel is stripped down and re-painted or finished. The wheel is like new. An "A" condition wheel is a wheel that is in excellent condition. These wheels are normally new take offs that come from a vehicle with under 1,000 miles on it. A "B" condition wheel is going to be your average used wheel. The B condition wheel may have some light scratches from normal use over time but all in all will still be in very good condition and will have no major imperfections such as being bent or having curb rash. A "C" Condition wheel will not be bent or cracked but will have scratches, pitting, or corrosion.